China's announcement on implementing value-added tax cuts from April 1 is expected to inject positive sentiment into commodity markets in the coming days on expectations of higher demand for raw materials like including coal, steel, crude oil, refined oil products, and petrochemicals. This week, eyes are also on headlines from the OPEC/non-OPEC market monitoring committee meeting, more details on 2019 targets from China's oil and gas giants, the ongoing term contract talks between Australian thermal coal producers and Japanese buyers, and the movement of LNG prices, which are expected to remain under pressure. This week: the OPEC/non-OPEC market monitoring committee is set to meet, China's oil and gas giants are expected to disclose more details on their 2019 targets, a slew of refinery maintenance activities will be kicking off, term contract talks between Australian thermal coal producers and Japanese buyers enter a crucial stage, and LNG prices remain under pressure. But first, China will implement value-added tax cuts from April 1, a move that is expected to boost the economy by lowering cost burdens and stimulating sales. The VAT reduction comes after recent cuts to income taxes and social insurance premiums, and is expected to boost cash flows and liquidity among companies, eventually encouraging manufacturing, production, and consumer demand. The announcement is expected to inject positive sentiment into commodity markets in the coming days on expectations of higher demand for raw materials like including coal, steel, crude oil, refined oil products, and petrochemicals. So for our social media question this week: Do you think China is doing enough to boost the country's demand for industrial commodities? Share your thoughts on Twitter with the hashtag PlattsMM. Still on China, the country's oil and gas giants, including CNOOC and PetroChina, are expected to give more details on their 2019 targets when they release their respective annual financial and operational results for 2018. A significant rise in their capital expenditures for upstream investment could boost production for China's energy security. 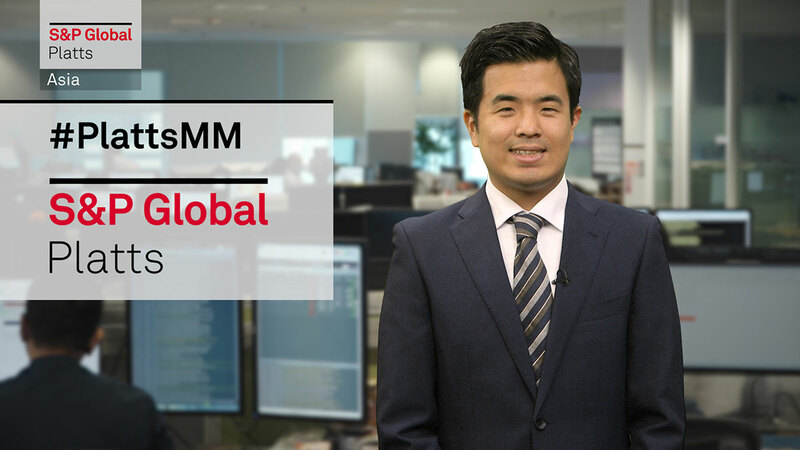 Market players will keep an eye on investment announcements and operation plans against the backdrop of the ongoing US-China trade tension, tighter fuel regulations as well as the expected slowdown in the economy. Looking at the wider oil market, eyes are on headlines emerging out of a key six-country OPEC/non-OPEC market monitoring committee on Monday in Baku. The meeting in Azerbaijan's capital is taking place ahead of the full coalition's meeting in Vienna on April 17-18 and may shed some light on the group's output policy decision next month. In Asia, light distillate traders in the region will be keeping a close watch on the slew of refinery maintenance activities scheduled to kick off this week, which could cause a drop in gasoline supply in the region. Malaysia's Petronas, for one, plans to start the maintenance program of its Kertih refinery on March 20. South Korea's Hyundai Oilbank will shut its 130,000 b/d condensate splitter in Daesan in early April. Expectations of tighter supply have been shaping the bullish sentiment recently. S&P Global Platts data show that FOB Singapore 92 RON gasoline crack against front-month ICE rallied to hit a new five-month high of $5.80/b last week. Moving on to LNG, North Asian spot prices could remain under pressure with persistently muted end-user demand in the region and a robust April to May supply. There were 7 to 8 cargoes heard available for the next two months, amid limited buying interest. Market sources say that JKM prices have yet to find a floor, despite already being at a 20-month low while the Brent slope equivalent is at an over 8-year low. In thermal coal, the market is waiting for the outcome of the talks between Australian producers and Japanese buyers for term contracts over Japan's financial year from April 2019 to March 2020. Sources say the talks are at a crucial stage, with both sides wrestling over a range from the low 90s to mid-100 dollars per metric ton. Newcastle 6300 GAR prices have fallen to 90 dollars per metric ton FOB, and last year's price of 110 dollars per metric ton for Japanese contracts looks out of reach. Finally, S&P Global Platts will hold a cross commodity Market Insights Forum on March 19 and 20 in Beijing, to discuss the environment, innovation, economic transformation and shifting global geo-politics and its impact on China as well as the wider commodities market. We hope to see you there.